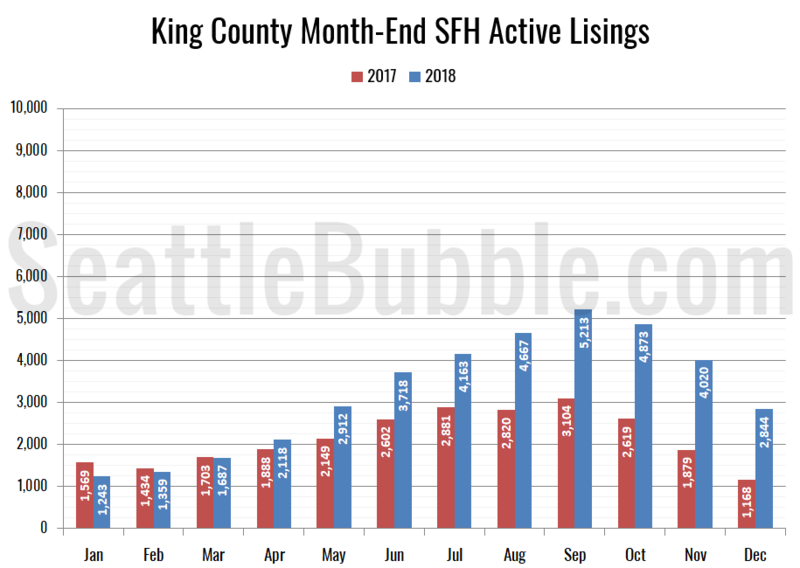 Now that 2018 is completely over, let’s take our first look at the December housing market stats for King and Snohomish counties. 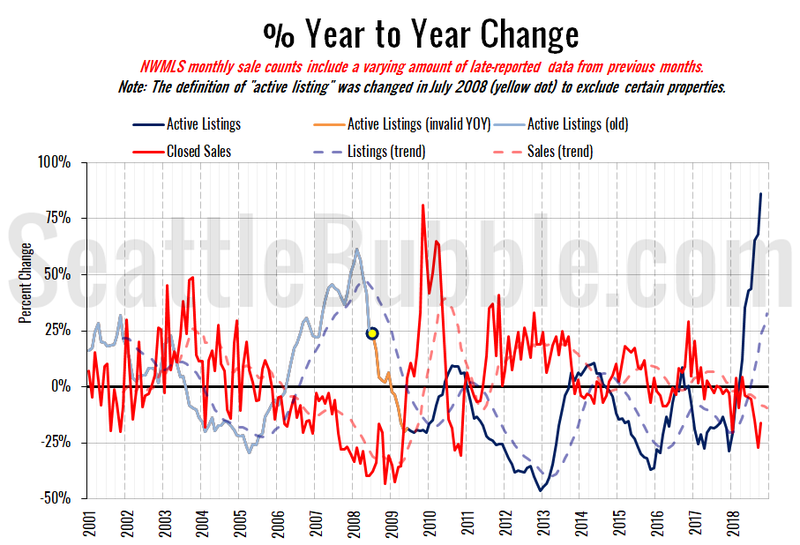 November market stats were published by the NWMLS this morning. 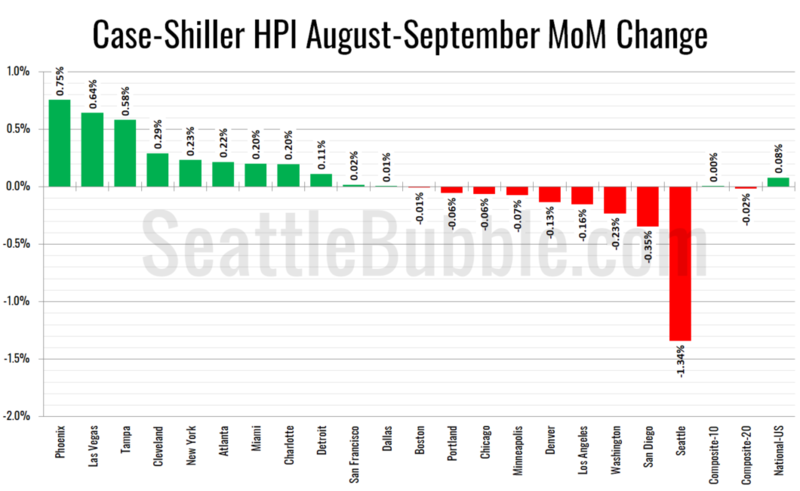 Home prices slipped to their lowest level since January, and inventory is declining seasonally but hit its highest November level since 2011. 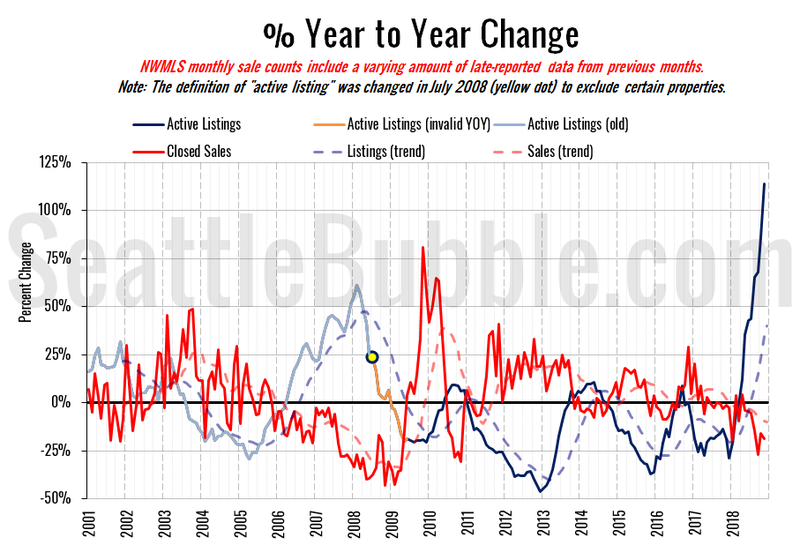 Both pending and closed sales continued to slip from last year as well. November’s year-over-year listing growth was an all-time record at a whopping 114 percent. It’s pretty much the same story as last month: Home sales volume was down considerably from a year ago and the number of homes on the market is up dramatically, nearly doubling from a year ago. Foreclosures are still very rare, although the number of notices did tick up a bit month-over-month. 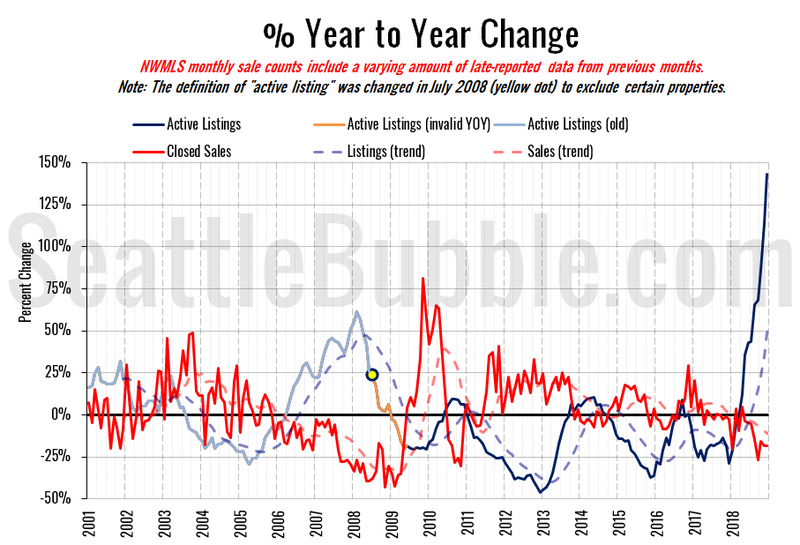 Last year at this time prices were down 0.3 percent month-over-month and year-over-year prices were up 12.9 percent. Home sales volume was down considerably from a year ago in both King and Snohomish County last month, dipping over 16 percent in both counties. 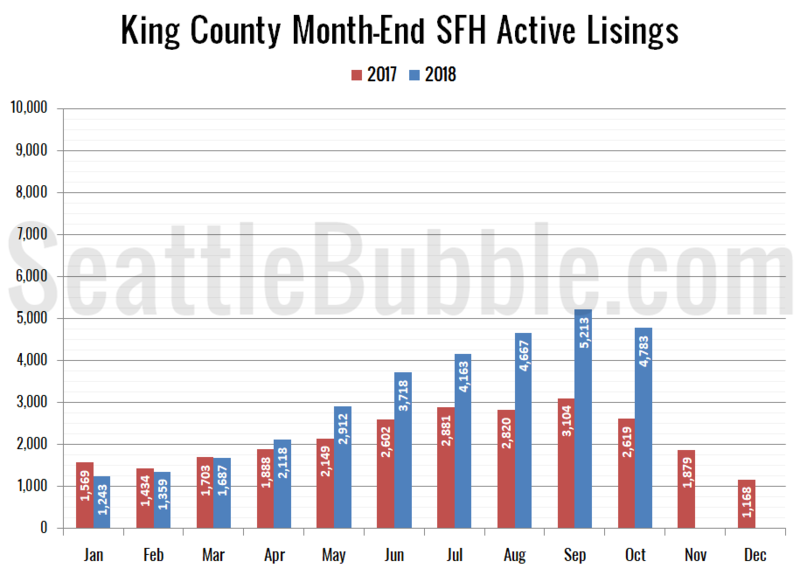 Meanwhile, the number of homes on the market began the usual seasonal declines, but were still up 83 percent in King County and 63 percent in Snohomish. Foreclosures are still very rare, although the number of notices did tick up a bit month-over-month.